In one moment, you’re hiking on a winding trail shaded by towering oak and sycamore trees. Then, you come across a huge dinosaur footprint left in the rock in front of you. Although you might imagine you’ve stumbled into Jurassic Park, this is all part of the fun when you visit Glen Rose. Situated among the rolling hills of North Texas just 60 miles southwest of Fort Worth, the “Dinosaur Capital of Texas” has plenty of small-town charm and a host of unique, family friendly things you can do this summer. Discover a few of these below. “Oh give me a home, where the dinosaurs roamed.” Oh, wait. That’s not how the song goes. Yet in a certain part of Texas, that’s exactly what you’ll find. 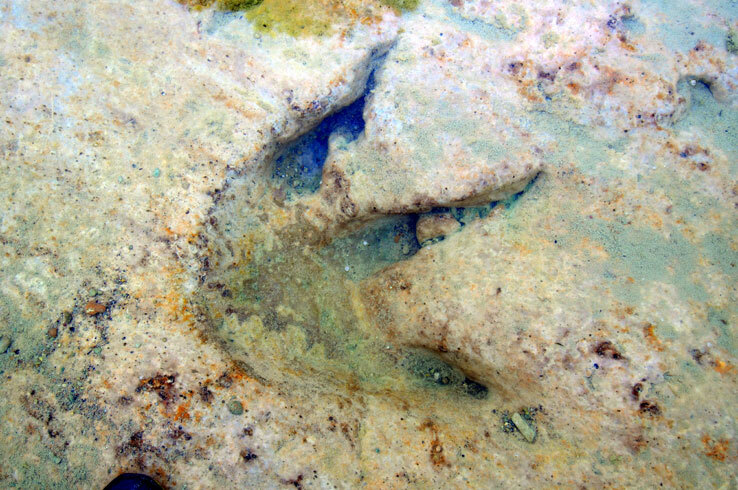 Hike the trails at Dinosaur Valley State Park to the Paluxy River to see massive footprints left by dinosaurs far larger than you. Once upon a time, this part of the Lone Star State was at the edge of an ancient ocean. All manner of early life thrived here, but the tracks you’ll find were left by an Acrocanthosaurus (a smaller relative of the tyrannosaurus rex) and a kind of sauropod that grew as long as 70 long. Summer is the time to see these tracks for yourself, as the Paluxy River is at its lowest, exposing the footprints in the riverbed. Need more dinosaurs? Head to Dinosaur World Texas, where you’ll see hundreds of life-sized dinosaurs and your kids can play in the dino-themed playground. Feed giraffes and zebras by hand, watch cheetahs lounging in the shade, and get up close and personal with parrots from the rainforests of South America and the islands of the southwest Pacific Ocean. You’d think having all of these experiences would require a trip around the world. Instead, it’s all part of the fun at the Fossil Rim Wildlife Center. 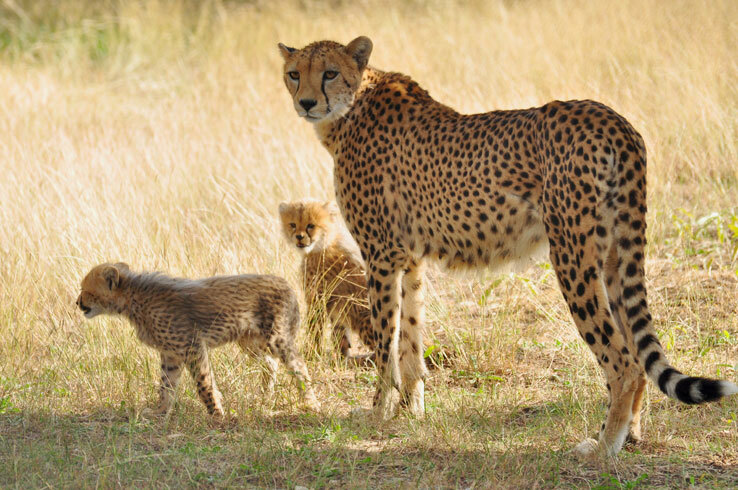 Go on a self-guided cruise along the Gosdin Scenic Drive and you’ll encounter aoudads, gazelles, gemsboks, and zebras. For the full experience, book your spot on one of the guided excursions ranging from a behind-the-scenes tour to an after-dark adventure. When you need a break, get a bite to eat and enjoy the view from the Overlook Café and stop by the Children’s Animal Center, where you and your youngsters can make new friends with adorable birds and goats. With so many exotic animals to see, a visit to the Fossil Rim Wildlife Center is a must this summer. What’s the first thing you want to do when you feel the heat of a Texas summer? If you’re not crazy, the correct answer is to seek refuge somewhere nice and cool. That’s exactly what you’ll find at Big Rocks Park, located less than one mile from Downtown Glen Rose. Feel the soft sand around your toes as you wade into the brisk green waters of the Paluxy River. Relax in the shallow water and swim near the mouth of the dam, then dry off as you hang out in the shade under a tree. Along with swimming, you can scale the enormous rocks that tower over the river. Stand at the top and you’ll get a 360-degree view of the river and the verdant trees that surround it. 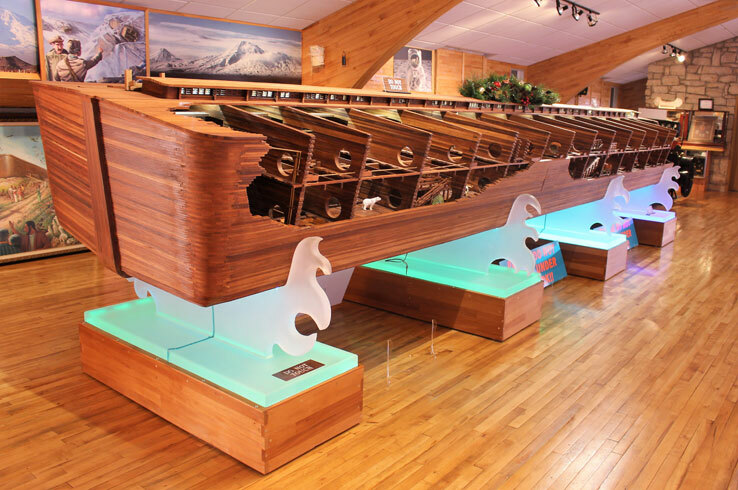 Discover how Noah built the ark and get an up-close look at what it may have looked like when you visit Glen Rose’s Creation Evidence Museum. Detailing the natural history of our planet from a biblical perspective, the museum features a vast collection of artifacts and fossils that gives evidence of a young Earth. These include a replica of the stegosaurus carving found at a temple in Cambodia, human foot and hand prints in stone, and other fossils excavated from the banks of the Paluxy River. Friendly for all ages, the Creation Evidence Museum provides a different point of view on the history of our planet. An afternoon at Squaw Valley Golf Course won’t just test your short game. Its wide fairways, century-old oak trees, and scenic lake serve up a treat for the senses from start to finish. Perhaps that’s why the Dallas Morning News ranked Squaw Valley among the best public golf courses in Texas. Both of Squaw Valley’s 18-hole courses feature a winding layout and strategically placed bunkers that will make you use every club in your bag. 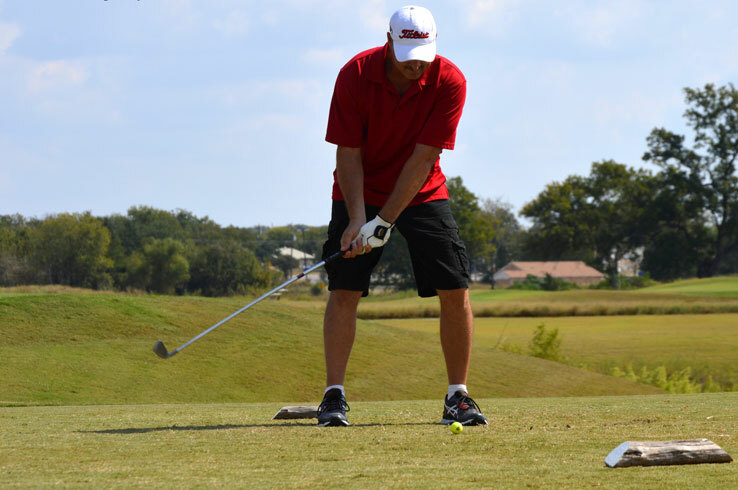 With 36 holes to play, you could plan your entire trip to Glen Rose around the golf course. Since it is summer, why wouldn’t you? Glen Rose may be best known for its prehistoric wonders and wildlife safaris, but its historic downtown is just as significant. When you need a break from your summertime outdoor adventures, wander around the center of town that is home to 30 buildings on the National Historic Registry. 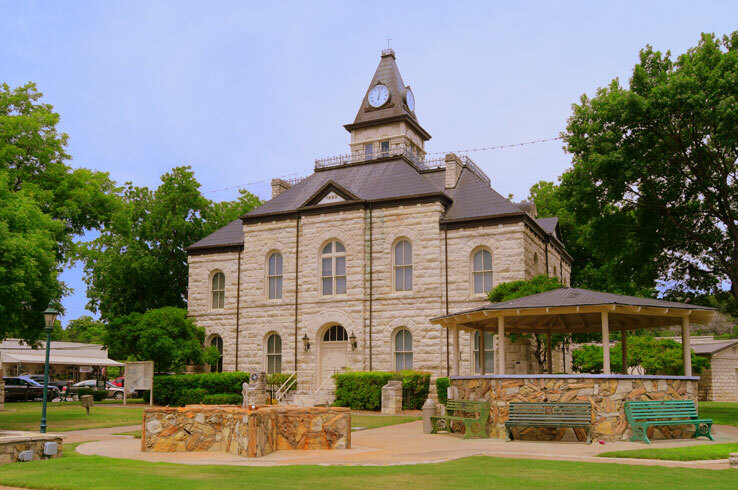 Admire architectural wonders like the beautiful Somervell County Courthouse and stroll along the downtown square full of vintage storefronts. Inside them, you’ll find mom and pop-owned antique stores, boutiques, coffee shops, and restaurants. Needless to say, you won’t find any big-brand stores here, guaranteeing you can take something truly one of a kind home with you. 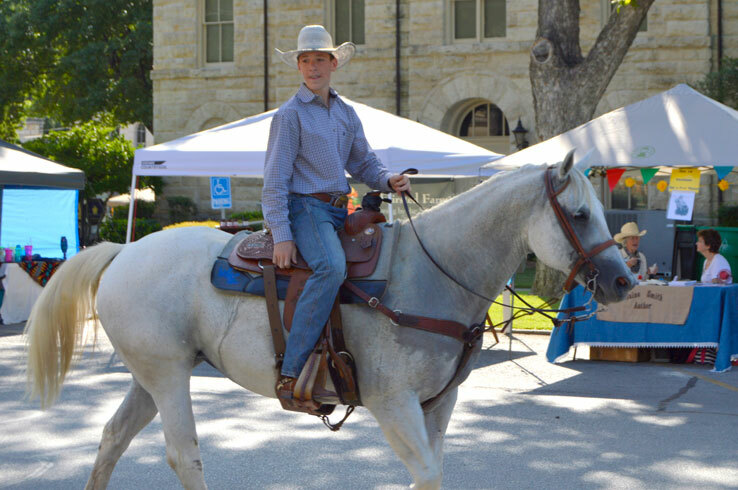 On one day in late July, cowboys and gun fighters help turn downtown Glen Rose into the Old West. Check out the parade and demonstrations as you browse vendors and listen to live music during the free-to-attend National Day of the Cowboy Celebration (late July). There’s even more going on in Glen Rose this summer. On every Saturday evening, catch a free movie or a concert in Oakdale Park. The park also hosts the Third Weekend Bluegrass Concerts on, you guessed it, the third weekend of every month. Whether it’s the charm of the Wild West you’re after, or a fun evening out with the whole family, you’ll find it in Glen Rose. 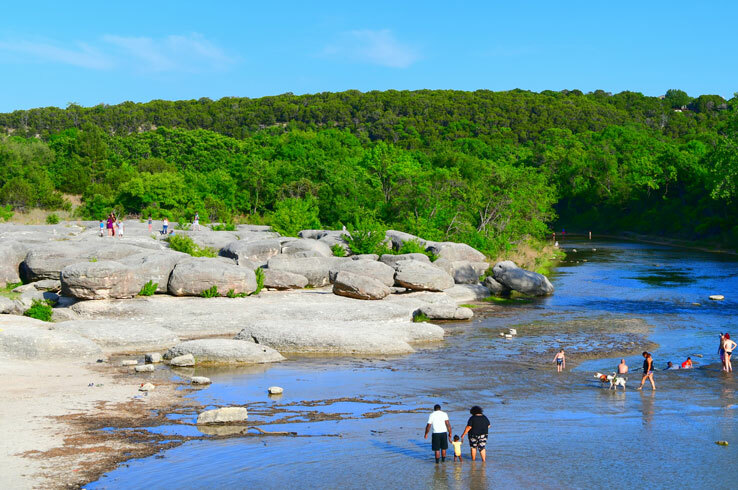 From searching for dinosaur tracks to playing on one of the best public golf courses in Texas, there are tons of unique things you can do in Glen Rose this summer. Start planning your next road trip here by checking out Visit Glen Rose’s website.